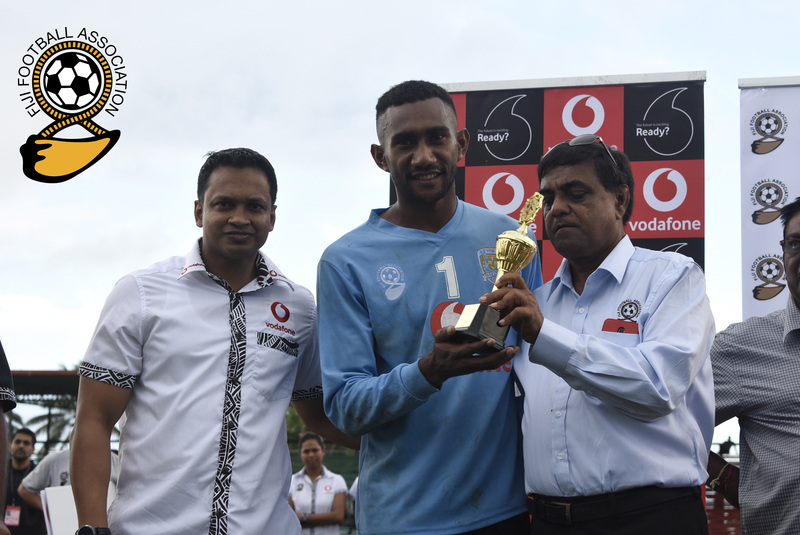 The 2018 Vodafone Fiji FACT becomes a super memory for the Rewa Football heroic goalkeeper Benito Waqavou. Getting his first ever final and playing an instrumental role behind the team’s victory will forever be treasure all throughout his football career. And getting the golden glove award was just an icing on the cake. Waqavou commended his teammates for the grand performance and contributing to his success. “I think I’m not the only hero today (June 10) as all the boys really worked hard for this victory,” he said. The 23-year-old was the only goalkeeper who did not concede any goal all throughout the tournament. “This was my first tournament getting the break in the semifinals and final and maintaining a clean sheet, I thank the Almighty and the boys for a grand team work. “I would like to deeply thank the fans who came out in numbers to support, not forgetting all the families of the players who had always been in support for the team. Looking at where it all started for Waqavou, it was a clash of choice over preference for what he is today. Waqavou preferred to play at the right back position, however was chosen to guard the goalmouth. “I wasn’t trained to be a goalkeeper from the grass-root level. I started goalkeeping because of choice,” Waqavou said. “I used to play at right back and right ling, but our goalkeeper got injured and I being the tallest in the team forced the coaches to make me play as the goalkeeper. This got me selected in the Rewa Youth. “In Rewa youth, I was under the guidance of coach Nigel Khan and he told me that I have a future in football and that is to guard the goalmouth,” Waqavou shared. He urged the goalkeepers to be mentally tough. “You’re the last line of defense and if you’re beaten, the whole team is beaten. “This has been a phrase that is keeping me go on.